The U.S. Coast Guard is still searching for two teenage boaters from Jupiter who went missing off the Florida coast last week. A report from the Associated Press Wednesday morning cited sources who said the Coast Guard had suspended the search for 14-year-old boaters Perry Cohen and Austin Stephanos, who went missing Friday, July 24. But the Coast Guard tweeted that the search remained open and active. "#breakingnews the search for missing 14 YOs is an open and active search-and-rescue effort," The Coast Guard said. "This case has not been suspended." 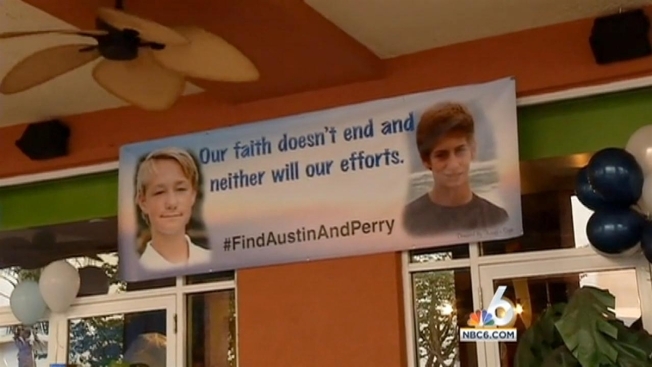 The massive search for Perry Cohen and Austin Stephanos continued Wednesday, some six days after the two teens went missing while boating off Florida. Coast Guard and state officials visited Cohen's home Wednesday. "There's been a lot of rumors that the search has been suspended. I just want to refute that. The search has not been suspended," Coast Guard Capt. Mark Fedor said. As they left, Fedor offered no further comment and didn't take questions. Crews have been searching for Cohen and Stephanos for six days. The teen's capsized boat was found Sunday, and the Coast Guard said it was searching the waters from Daytona Beach, Florida, north to South Carolina. The Coast Guard's relentless hunt for the 14-year-old fishermen had entered its sixth day with questions growing over how long it could go on. Decision-makers were juggling a mix of "art and science," Chief Petty Officer Ryan Doss said, trying to balance the knowledge of how long people can survive adrift with the unknowns on whether the boys had flotation devices and drinking water and what their physical condition is. "We know it can happen," Doss said of finding the boys alive, "and we're hoping it happens again." 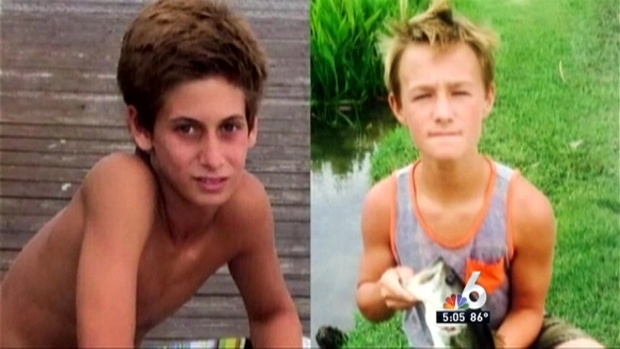 USCG crews are now in the fifth day of searching for two missing teen boaters from Jupiter, Florida. 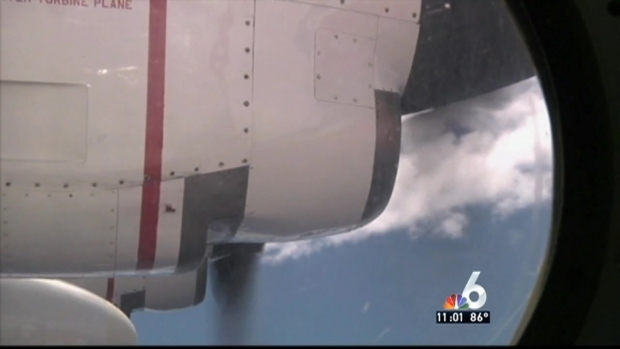 NBC 6's Julia Bagg has the latest. Laurence Gonzales, the author of "Deep Survival: Who Lives, Who Dies, and Why," said the general rule of thumb is humans can stay alive three minutes without air, three days without water and three weeks without food but examples of defying that abound. The longest someone has been known to survive in the open ocean without water was about five days, he said, but the unknowns about the teens mean anything is possible. "People will constantly surprise you," said Gonzales, an author of four books on survival whose own father was a World War II pilot who survived being shot down. "You'll think, 'Surely this guy is dead.' And you'll go out and there he will be alive." The community continues to rally around the boys' families. One restaurant owner in the area decided to donate 20 percent of all proceeds to raise money for the search efforts. Hundreds of people showed up and nearly $50,000 worth of auctionable items were donated in just a couple days. The saga of the two boys from Tequesta, Florida, began Friday. Their parents believed their fishing outing would take them to a local river and waterway, as was the rule in previous solo trips, not the deep waters of the Atlantic. A line of summer storms moved through the area that afternoon, and when the teens didn't return on time, the Coast Guard was alerted. Their 19-foot boat was found overturned Sunday off Ponce Inlet, more than 180 miles north of where the boys started. A GoFundMe account, titled "The Perry and Austin Rescue Fund," has been created to raise funds for the rescue mission. Created on July 27 by Pamela Cohen, the account has raised nearly $200, 000. #breakingnews the search for missing 14 YOs is an open and active search-and-rescue effort. This case has not been suspended.